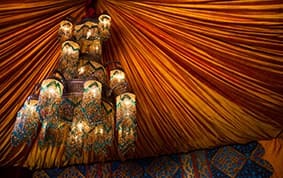 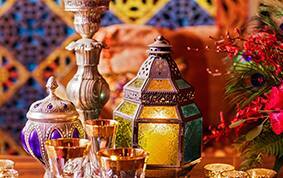 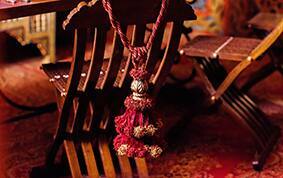 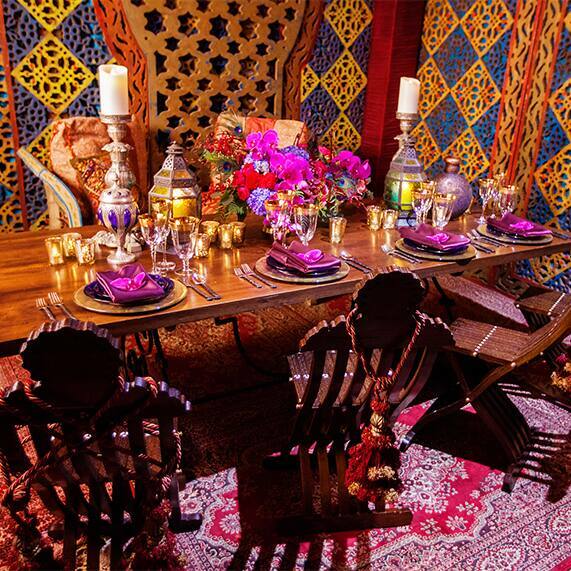 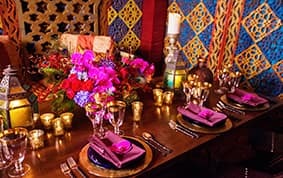 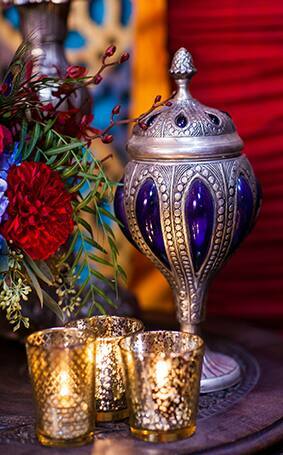 Steer your magic carpet toward this Moroccan-inspired affair dripping in jewel tones, gold embellishments and a chandelier made for royalty. 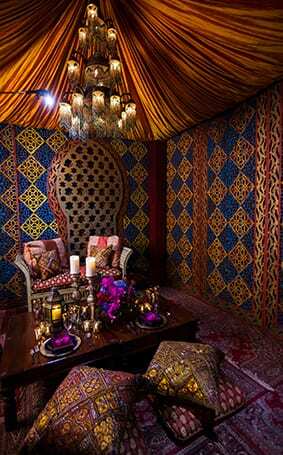 Draped ceilings and carpeted walls set the tone for a romance set in a far away land and dreams of adventures during the Arabian night. 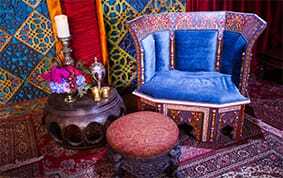 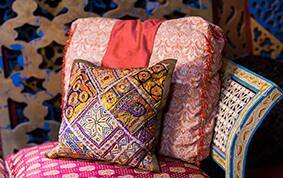 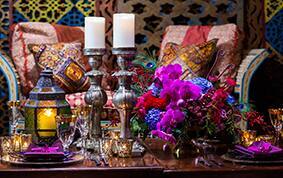 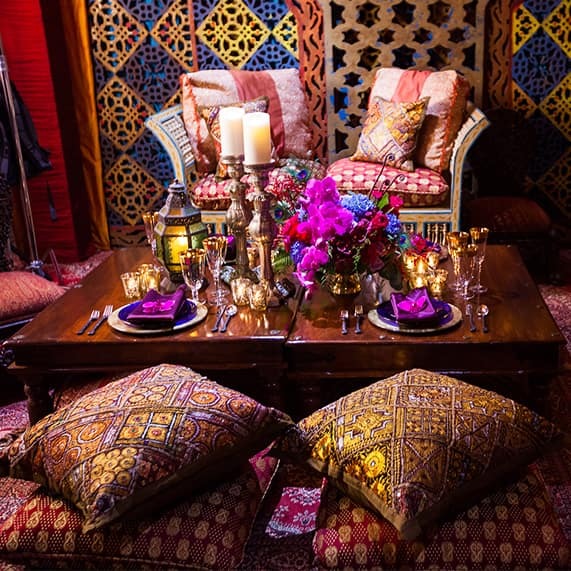 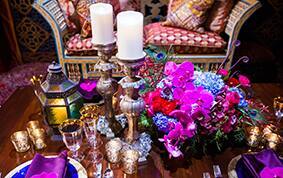 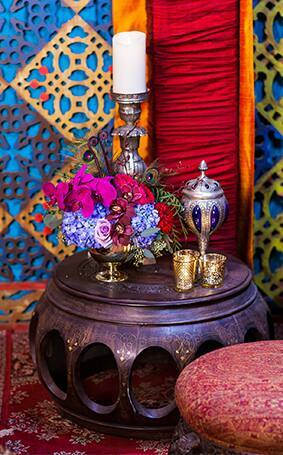 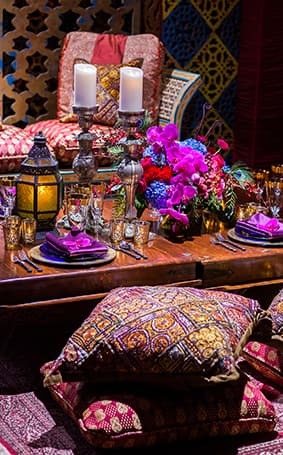 Treasures from around the world are scattered throughout and multi-patterned pillows bring a warmth to this intimate party inspired by Disney's Aladdin. 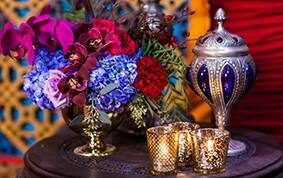 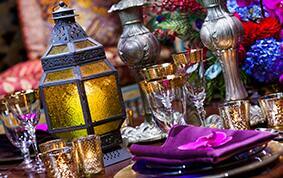 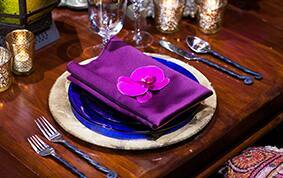 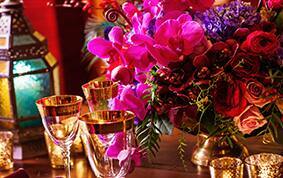 Who needs a magic lamp when you have Disney's Fairy Tale Weddings at your beck and call!